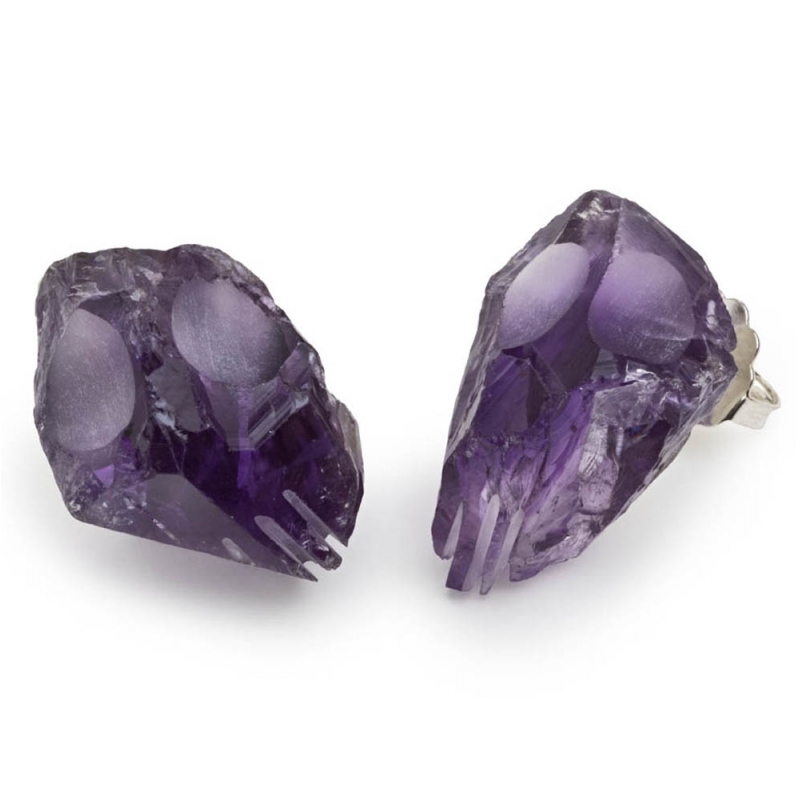 The Abstract Skull earrings are made from the upper part, or sharp edge, of the amethyst crystal. They are 'Abstract' because they do not represent a perfect skull, but rather resemble a skull. The name ‘skull’ is chosen because usually these ‘upper parts’ or ‘edges’ are discarded, so they are, indeed, a remain of the amethyst crystal. Each one is hand-carved by the artist and each one is different, so please do not expect perfectly matching pairs. Back part is available in 925 silver, or 750 (18K) yellow or white gold. Stone is a natural amethyst.